Delamanid, a nitro-dihydro-imidazooxazole derivative, has been developed by Otsuka Pharmaceutical for the treatment of multidrug-resistant tuberculosis (MDR-TB). Delamanid received its first global approval for the treatment of MDR-TB in the European Union (EU), for use in combination with optimised background therapy. It is also under review for marketing in Japan for MDR-TB, the first drug application filed in Japan for this indication. Delamanid has been granted orphan drug status in both the EU and Japan. This article summarizes the milestones in the development of delamanid leading to this first approval for MDR-TB. The preparation of this report was not supported by any external funding. During the peer review process the manufacturer of the agent under review was offered an opportunity to comment on the article. Changes resulting from any comments received were made by the authors on the basis of scientific completeness and accuracy. N.J. Ryan is a contracted employee of Adis, Springer SBM. J.H. Lo is a salaried employee of Adis, Springer SBM. Otsuka Pharmaceutical. Otsuka Wins European Marketing Authorization for Deltyba(TM) (delamanid). Media Release. 20 Apr 2014. Available at http://www.otsuka.co.jp/en/company/release/2014/0430_01.html. Accessed 14 May 2014. Otsuka Pharmaceutical Co L. Otsuka’s Novel Treatment for Multidrug-Resistant Tuberculosis, Delamanid, Submitted For Regulatory Approval in Japan—Half Century Since Last Drug Was Approved in Japan for Tuberculosis. Media Release. 27 Mar 2013. Available at http://www.otsuka.co.jp/en/company/release/2013/0327_01.html. Accessed 14 May 2014. European Medicines Agency. Public summary of opinion on orphan designation. Media Release. 15 Nov 2011. Available at http://www.ema.europa.eu/docs/en_GB/document_library/Orphan_designation/2009/10/WC500006083.pdf. Accessed 14 May 2014. European Medicines Agency. Meeting highlights from the Committee for Medicinal Products for Human Use (CHMP) 18-21 November 2013. Media Release. 22 Nov 2013. Available at http://www.emea.europa.eu. Otsuka Pharmaceutical. Safety and efficacy of delamanid for 6 months in patients with multidrug resistant tuberculosis [NCT01424670]. Available at http://clinicaltrials.gov/ct2/show/NCT01424670?term=delamanid&rank=3. Accessed 14 May 2014. Otsuka Pharmaceutical. 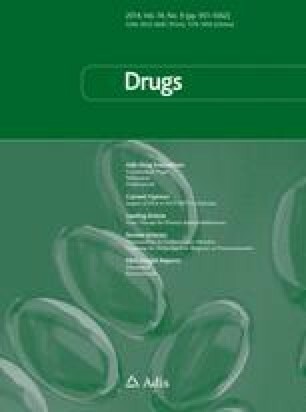 Pharmacokinetic and safety trial to determine the appropriate dose for pediatric patients with multidrug resistant tuberculosis [NCT01856634]. Available at http://clinicaltrials.gov/ct2/show/NCT01856634?term=NCT01856634&rank=1. Accessed 14 May 2014. Otsuka Pharmaceutical. A 6-month safety, efficacy and pharmacokinetic trial of delamanid in pediatric patients with multidrug resistant tuberculosis [NCT01859923]. Available at http://clinicaltrials.gov/ct2/show/NCT01859923?term=NCT01859923&rank=1. Accessed 14 May 2014.